Han Yeo Jin‘s plans succeeds as Kim Tae Hyun returns just in time with the marriage licence with little obstruction. 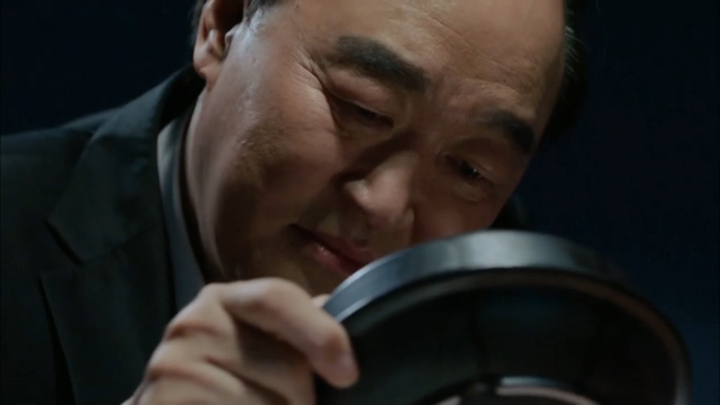 Han Do Joon‘s attempt to control the government officials with his last car, the secret ledger, also fails as those invited to the funeral aren’t the corrupt official mentioned in the ledger: they are members of a committee involved in investigating corruption. Both Han Do Joon and President Go are dragged off for investigation the corruption and criminal activities. Han Yeo Jin regains her position as Chairwoman of Han Shin Group. Regaining her seat is not the end of her plans, though. She must make good on her word to take revenge on all who imprisoned her in the room on the 12th floor. No one will be spared as each one who held her captive must pay for their actions. 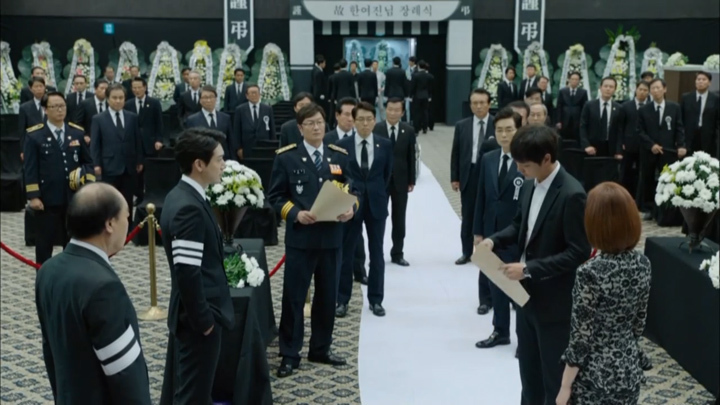 Just as Han Do Joon orders his men to move in on Han Yeo Jin and drag her off to the hospital, Kim Tae Hyun shoves through the guards at the funeral hall entrance to present Han Do Joon with the marriage licence granting him the legal rights to act as Han Yeo Jin‘s legal guardian, removing Han Do Joon‘s hold on his sister. His attempts to use the secret ledger to control the assembly of government officials from taking any actions against him also fails. The group who he thought were involved in the secret ledger are in fact all clean and from the a government body which investigates corruption. Han Yeo Jin had Secretary Min send texts from Han Do Joon‘s phone threatening to reveal the details of the secret ledger if they didn’t show up to pay their respects. For the threats made and creating the slush fund, Han Do Joon is arrested under exigent circumstances to the Prosecutor’s Office. Meanwhile, President Go is also arrested under exigent circumstances for instigating murder by Detective Lee. Han Yeo Jin back as Han Shin Group‘s chairwoman, her official act comes moments after the arrests. Three bus-loads of people carrying (we’re assuming) Kim Yeong Mi‘s father, Han Shin Electric‘s former employees and the media arrive onto the scene, and heading for the funeral hall. The guards automatically move to prevent entry. 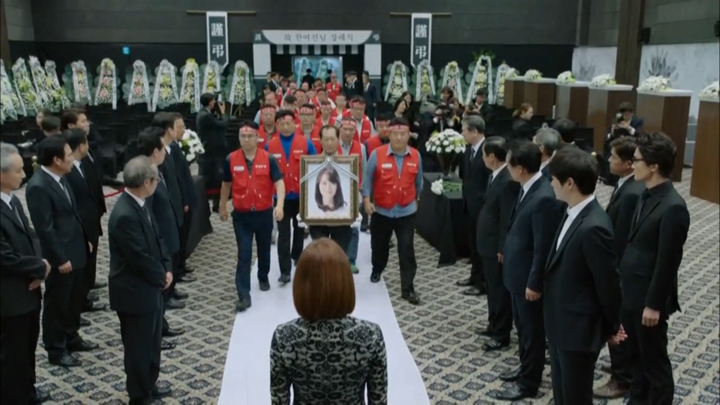 However, Han Yeo Jin permits them through and they flood into the funeral hall with Kim Yeong Mi‘s father. He leads his co-worker to the front, right up to Han Yeo Jin, holding his daughter’s photo. Han Yeo Jin instantly recognises the photo of the woman as the preserver of her life. She gives a deep bow before moving aside to let the father place the correct photo at the altar. 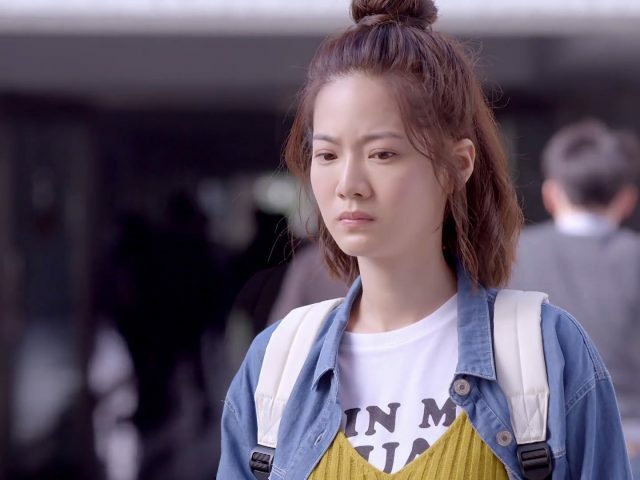 Han Yeo Jin moves to speak to the company’s former workers, expressing her gratitude for Kim Yeong Mi and requests forgiveness from them with a deep bow. She and Han Shin Group offers to reinstate and send off Kim Yeong Mi as an official employee of the company at the funeral and offer remuneration. She also promises the reinstatement of all workers who were wrongfully dismissed and announces the sale of Hn Shin Electric will be withdrawn. The protest between the workers and Han Shin Group ending peacefully, Han Yeo Jin then moves to the altar to speak to Kim Yeong Mi through her thoughts: "their blood will be offered at your altar". "Their" referring to the Han Shin Group Directors and Presidents. Han Yeo Jin‘s not done with her plans. She has not forgotten her vow to take revenge on all those who held her captive and conspired against her. President Go (full name: Go Sung Hoon) detained at the police station is as confident as ever. He knows that if he stays silent, he’ll be transferred to the Prosecutor’s Office who will eventually need to let him go. Standing watch over the interrogation on the other side of the interrogation room, Detective Lee knows that he ordered the murder of Nurse Hwang and the Director. 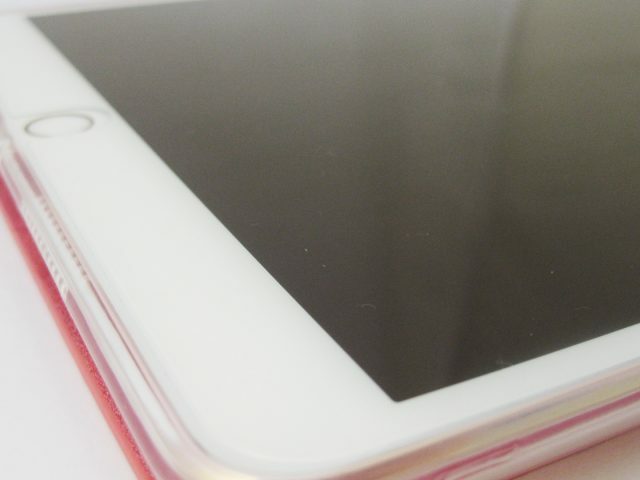 His text messages also show intent to commit murder. Detective Lee believes that President Go will end up confessing, but to answer the question which Kim Tae Hyun poses, "What happens if he doesn’t confess? 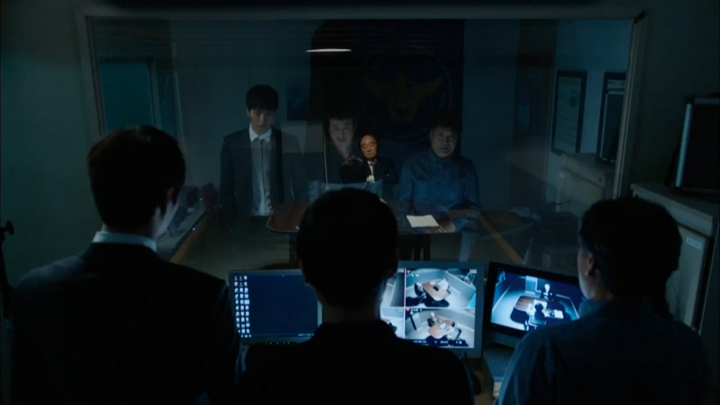 ", Detective Lee explains that President Go would then be handed over to the Prosecutors Office. If he continues to remain silent, refusing to confess, then it’s very possible he’ll be released in the end, because proving he had instigated murder is not easy to prove. President Go also has money and people to help him arrive at that outcome. After Kim Tae Hyun‘s visit to the police station and admitting to his offenses, Detective Lee releases him with a ₩3 million penalty. He is no longer wanted and free to live his life without needing to watch his back. 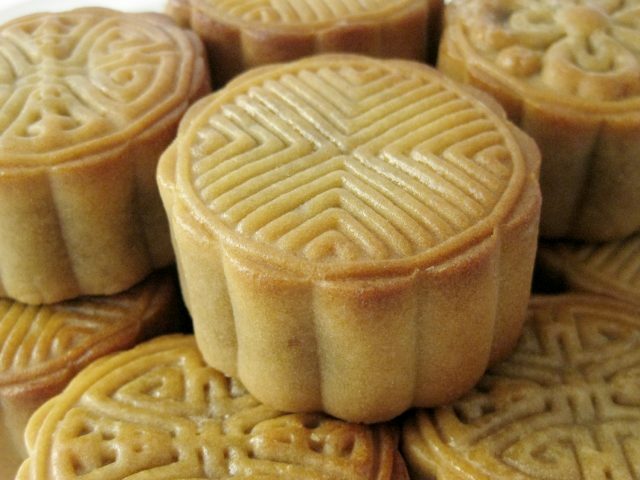 The parting between him and the Detective Lee is quite a sugary sweet one. Kim Tae Hyun requests a discount before joking about not being able to do house calls anymore. Detective Lee takes the joke, encouraging him to do it, just don’t run away with the gangster. They both bid their farewells before he calls out the name Yong Pal one last time. 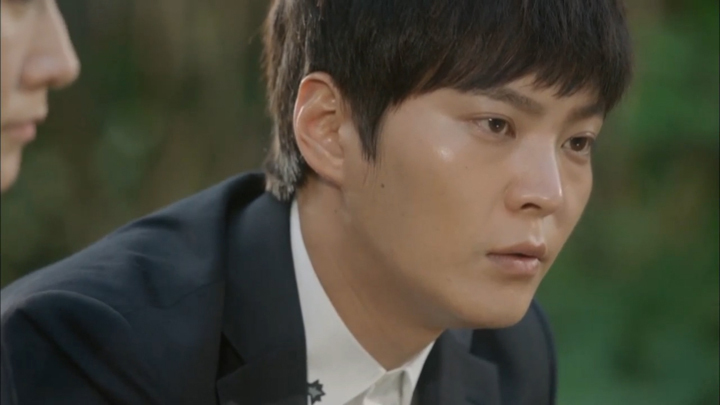 This scene between Detective Lee and Kim Tae Hyun sounds a lot like a final farewell for the Yong Pal arc. It was like the writer was giving the Yong Pal part of the drama a send-off. 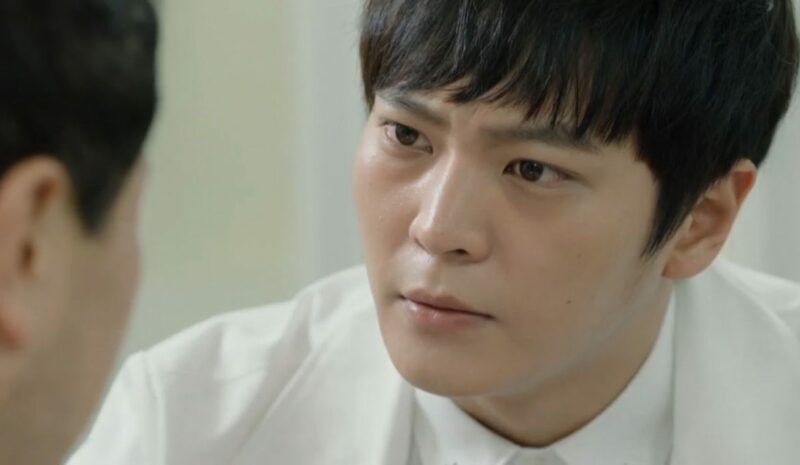 It’s a little sad we won’t be seeing Yong Pal and his underground surgeries again. A free man, Kim Tae Hyun leaves the police station to go back as Han Yeo Jin‘s husband and a Han Shin Group heir. He’s given a new title of "Sir" by the Board of Directors. 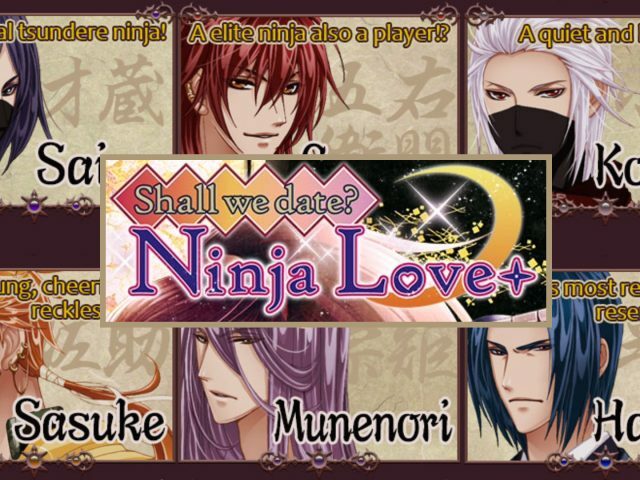 ("Sir" appears to be a loose English translation of the actual Korean title. The title is equivalent to the title of a Madam. Basically, he’s like the male version of Lee Chae Young now!) The news that he’s now the Han Shin Group‘s Chairwoman’s husband seemed to have travelled back to them as well, as upon returning to the hopital, he’s regarded as a VIP. Those who were once his superiors at the Han Shin Medical Center line the entrance outside to greet him. Kim Tae Hyun tries to evade them by having the driver pass the group, ducking and hiding from their sight, and head for the basement car parks to enter unnoticed. The hospital chiefs are too quick for him, though, as they beat the car to arrive ready and waiting for his arrival down in basement as well. In the hospital, colleagues bow deeply whenever he arrives into a room with them and throw words of flattery at him every chance they get. As Han Yeo Jin‘s husband, he is also expected to move into Han Yeo Jin‘s residence (the same one previously occupied by Han Do Joon) with servants at his command and receives a bodyguard. His dream which he talked about wanting to become someone powerful has finally come true. Being powerful and constantly being bowed to and addressed as Sir seems to be something he is quite uncomfortable with and feels rather embarrassed about. Secretary Min, who accompanies Kim Tae Hyun on-route to Han Yeo Jin‘s residence (the same one previously occupied by Han Do Joon), tells him that it’s like the place he will call home: he may be unaccustomed to it all right now, but he will get used to it. Soon he’ll get very comfortable. Later, he will find that it’s a place he won’t ever be able to give up. This speech from Secretary Min isn’t only to ease Kim Tae Hyun‘s state. Secretary Min appears to have concerns over Kim Tae Hyun desiring more power than he has presently gained in the future. As they arrive outside Han Yeo Jin‘s residence, Secretary Min requests permission to speak to the ‘Kim Tae Hyun who is not his superior’ one last time before he crosses the threshold into Han Yeo Jin‘s residence. Kim Tae Hyun permits it with a nod. The secretary gives him some insight/the truth: “No matter who the powerful is, that person will always be weak to someone else.” He hopes that he can be weak to at least the Chairwoman so that he can be powerful amongst himself and everyone else who now serves Kim Tae Hyun. Kim Tae Hyun assures him that he no longer wishes to be powerful to anyone now. With that, Secretary Min goes back to addressing him as his superior, requesting forgiveness for his rudeness, which Kim Tae Hyun brushes off, claiming having been insulted by Secretary Min‘s insincere request for forgiveness. Secretary Min smiles before gladly showing him in. In his new home with Han Yeo Jin, he is greeted with Han Yeo Jin attempting to cook them a meal with her cook instructing her, catching her say to herself that what she’s trying to learn to to cook will be easy. He sneaks up behind after the cook leaves the room to them to embrace her from the back, telling her that making the dish won’t be that simple. After Kim Tae Hyun concedes that she has great skills, his embrace is returned. "Welcome," Han Yeo Jin says, her head buried into his chest. She’s happy and relieved it all worked according to plan. They’ve made it. Their plan succeeded. 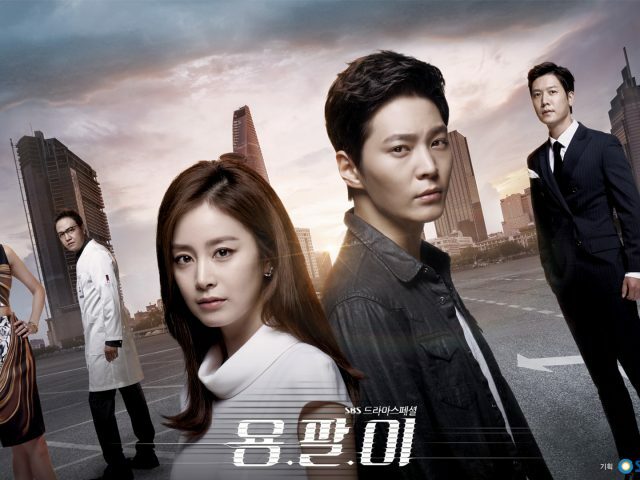 As Han Yeo Jin and Kim Tae Hyun spend their first evening at the new home together (Kim Tae Hyun ending up doing the cooking and Han Yeo Jin on the countertop behind, watching), at the police station President Go is very sure of himself, telling Detective Lee that he will survive through this just like how he survived all his previous hardships. He’s been in the construction business for 40 years. When people died from the collapse of a building his company constructed he survived. When the bridge his company was in the midst of completing collapsed, he survived. His world has been shaken up like the dynamite explosions does to land. During this time, people, like mice, will hide away in their holes. But soon, they will see that the shake-up didn’t end the world, and they’ll all eventually come out again. People will come out to his aid again—"Do you know why?" President Go asks rhetorically to Detective Lee. "They remember where they have to go to get food." President Go has power and money and the people will come to his aid in time. Not long after making this assertion, his attorney arrives. "He came here sooner than I thought," he states smugly. His confident air completely disappears though after they sit down and discuss things over. What the attorney discussed with him is unclear as this was not shown, but it has something to do with a note which was passed onto him. "What do I have to do?" he asks his attorney, his voice and expression full of apprehension. When Detective Lee arrives back into the interrogation room, he tries to deliver the same confidence he had prior to the attorney’s visit, instructing the detective to just hand him over to the detective. However, it’s clear he’s no longer sensing survival this time round: as he speaks, his smug smile is not held, his eyes and voice exhibit fatigue, lacking the same kind of energy. After the attorney leaves, President Go orders a bowl of bone soup. He takes a few spoonfuls before apparently losing his mind, humming a tune and laughing aloud to himself. It’s the end of the road for him. He empties the bowl of its contents slowly before throwing it against the wall. He grabs a shard from the floor and uses it across his throat, taking his own life. "Father, save me," the note is revealed as saying. Han Yeo Jin‘s begun her revenge. She’s been planning in the background to take President Go‘s son hostage in order to force him into a corner and take his own life without her or her people lifting a finger to kill him. With President Go out of the way, she returns as Han Shin Group Chairwoman to assert her power and set them in their place. Returning to her first meeting with the Group’s presidents, the presidents offer her their customary congratulations upon her arrival but she does not have their complete loyalty. When Han Yeo Jin cuts their customary congratulations to call them out on the false front they’re presenting (speaking of how in all the three years she lay in bed wasting away and wanting to commit, no one came to visit nor wake her), the vice chairman shows no fear in speaking up. Still very much supporters of the Han Do Joon–President Go alliance, the vice president passively-aggressively informs her of the fact that she still hasn’t been passed through the official general meeting and warns it won’t gain her any favours when going up against the influential power of Han Do Joon and President Go if she chooses to carry on pressuring them in such a manner. He proceeds to advise her to bury the past quietly and work with them like an underlying threat. The rest of the presidents laugh at what they believe is the truth of the situation. If only they heard about President Go‘s suicide before laughing and agreeing with the vice president. It only take a couple moments for them to get up to date with the situation. One of the presidents at the table gets a text first then in quick succession, the rest of the presidents receive the news before the vice chairman is finally informed by a president sitting next to him: "President Go died at the police station last night." 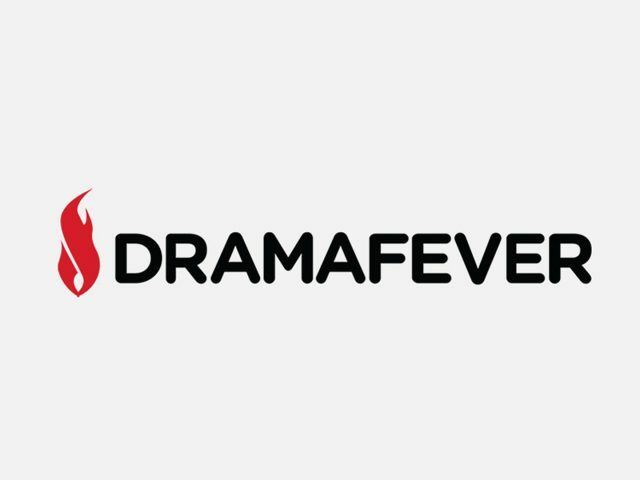 Han Do Joon and President Go‘s powerful alliance broken, the presidents and the vice chairman fall back into their subordinate positions, no longer so sure of themselves and laughing. Just to show them just the kind of power she holds over them, Han Yeo Jin brings out the secret ledger—the real one. 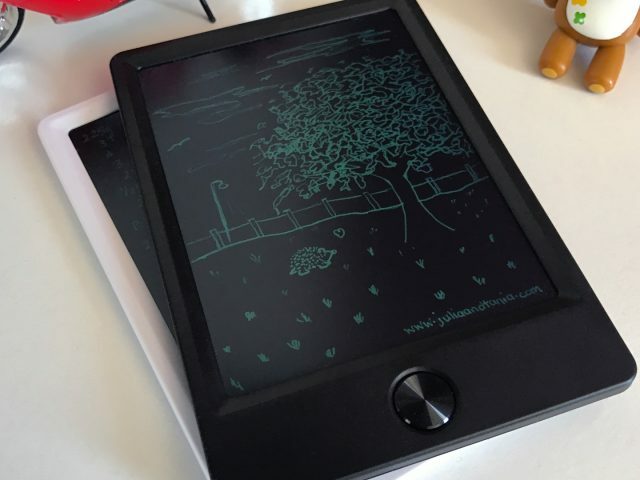 It turns out the secret ledger Han Do Joon received was a fake one. Han Yeo Jin indeed had thought through her plan thoroughly before having Secretary Min come to her and letting him in on her plans and handing over the USB drive. 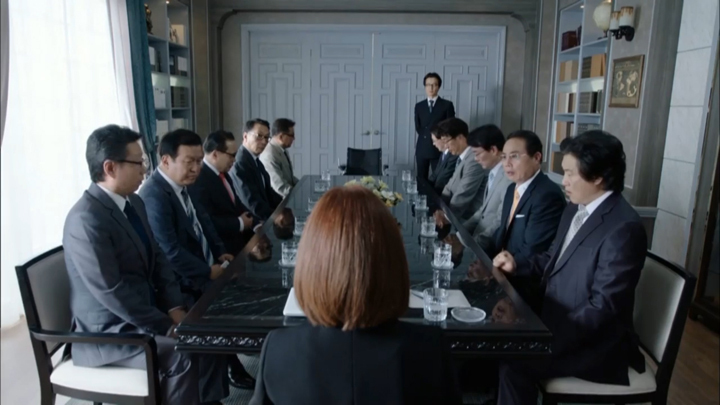 It was all part of the plan for Secretary Min to make Han Do Joon think he’s got the real secret ledger, to think that all the corrupt official were going to be present at the funeral so that he would use the secret ledger to threaten them. It was all to set Han Do Joon up to admitting having created a secret ledger in front of an assembly of Government corruption investigators so that he would be taken in for questioning. Secretary Min never any intentions to betray her. It’s a good thing he switched sides, too. If he hadn’t, he’d be on Han Yeo Jin‘s hit-list instead of helping her execute it. With President Go taken care of, the presidents put in their place, Han Yeo Jin has Secretary Min work in the background to carry out the disposal of those who wronged her: President Go‘s hit-man, Chief Surgeon Lee and Han Do Joon. With President Go‘s hit-man, he’s taken care of through a cold-blooded live burial. Members from the hit-man’s gang are hired to carry it out. The hit-man in the police’s custody, the hit-man’s disposal happens during a location transfer. Following the police truck in an SUV, the gang member repeatedly rams the truck until it eventually rolls over. The hit-man gets out, praising his fellow gang member on such an awesome stunt, not realising that they’re hired on a job by Secretary Min to bury him alive. The hit-man is tasered and brought to some place to be buried alive with Secretary Min and the hit-man’s gang members watching over. Chief Surgeon Lee is next on the list. The way he is to go looks suspiciously like the way he had her go during Han Do Joon‘s plans to dispose of her. After he was saved by Kim Tae Hyun and transferred to the wards back in Episode 12, his drip is injected with a yellow substance. Though the injection is not repeated (at least not on screen), it appears she plans to have him die the way he had her die when Han Do Joon ordered her disposal: on the operating table. 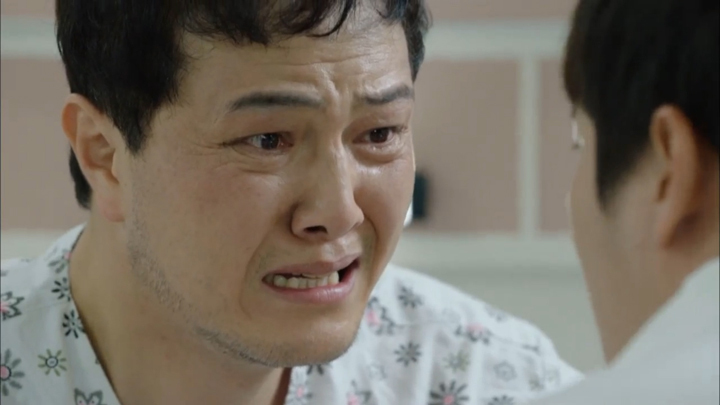 The whole situation with Chief Surgeon Lee‘s planned disposal plays out almost like a rehash of the events leading up to Han Yeo Jin‘s disposal, with Kim Tae Hyun attempting to save him against dying by Han Yeo Jin‘s hand, only it includes a story about the day when Kim Tae Hyun‘s mother died which has Kim Tae Hyun see Han Yeo Jin to request she stops her revenge and stop her going through with Chief Surgeon Lee‘s disposal—for the time being at least. Chief Surgeon Lee, lying on his bed, overhears Head Nurse talk about Han Yeo Jin having survived with the nurse who’s been helping her and Kim Tae Hyun. The news startles him awake. Kim Tae Hyun, who is his primary doctor, is at his side. Chief Surgeon Lee, full of fear, pleads Kim Tae Hyun to save him. Kim Tae Hyun assures him that he needn’t worry since Han Do Joon is in custody and President Go is dead. This doesn’t calm the chief, saying the only person who could make President Go commit suicide is Han Yeo Jin. He moves to plead Kim Tae Hyun again to put in a good word for him with Han Yeo Jin. Kim Tae Hyun, having only known the loving side of her, assures Chief Surgeon Lee that she isn’t that type of person. Chief Surgeon Lee corrects him: Han Yeo Jin will definitely kill him because those people (referring to Han Yeo Jin and Han Do Joon) will never let the law handle it. Amid his dispair, Chief Surgeon Lee expresses his regret over having ever gone to Han Yeo Jin‘s surgery the day she threw herself out the window three years ago. Her surgery was the reason why he couldn’t turn up at his mother’s. He tells Kim Tae Hyun that the day his mother was brought into the hospital was also the same day as when Han Yeo Jin was brought in. Professor Kang was supposed to go to his mother’s surgery, but he, like all the doctors, wanted to be seen in the Operating Room with Han Yeo Jin, so Professor Kang pushed his mother’s surgery off to him. However, the chief to Chief Surgeon Lee at the time had asked Professor Kang to go. As they continued to push his mother’s surgery back and forth between them, Chief Surgeon Lee was suddenly called to go into Han Yeo Jin‘s Operating Room. He tells Kim Tae Hyun he had tried to go to his mother (who he didn’t know was his mother in the Operating Room at the time), but the call into Han Yeo Jin‘s Operating Room was so sudden. He ends with pleading Kim Tae Hyun yet again to spare his life. The revelation has him in shock and unable to hold back tears as he sits outside in the corridor digesting the information about Han Yeo Jin‘s part in the death of his mother. He doesn’t blame her, though, nor does he love her any less. Even after initially wanting to see her at her office (where he is greeted by a line of groveling presidents outside) and finding out that she was behind President Go‘s suicide, he is still able to call her cute when he hears about her clear sense of reward of punishment from the stewardess during their talk in a lavender garden on the grounds. He finds her cute even in the present and goes as far as offering a reason, putting it down to the loneliness, and a child having to live amongst adults who had to fear even a child’s whining. It sounds like Kim Tae Hyun might be hinting at the fact that because she was the heir of the Han Shin Group, she lacked discipline; she didn’t have people daring enough to put a stop to things when she played up. (NB: The English translation of what Kim Tae Hyun says is not as clear or as well-formed a sentence as it probably could be; so we did our best going off of and interpreting the translated dialogue.) When the stewardess asks whether he was afraid of her after seeing her actions over the two days, he expresses that he feels bad for her more than fear her. 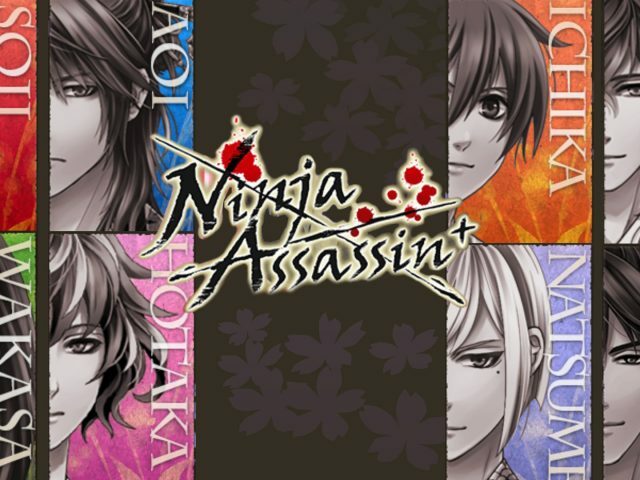 She tries to deny carrying out any kind of revenge, but when Kim Tae Hyun states out that he knows everything and that he knows she’s trying to kill Chief Surgeon Lee, calling her actions murderous not justice, she moves to defend her side, saying that he deserved to die for her imprisonment and for slicing the neck of a defenseless woman. 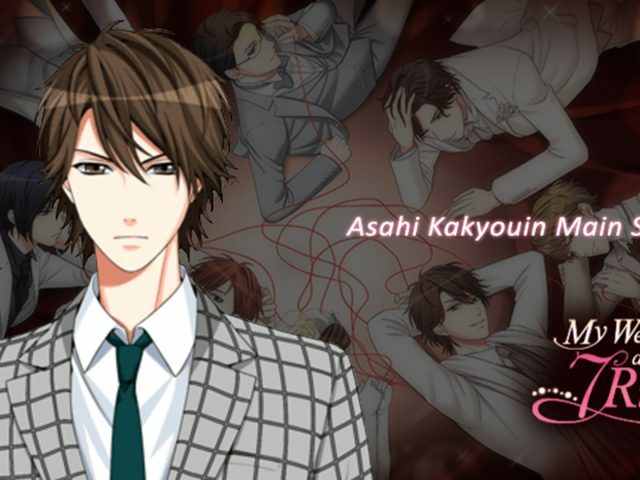 She can’t let someone who’s supposed to be a doctor go unpunished, because that is what will happen if she were to let him go since the whole imprisonment happened in secret without any security cameras to capture the on-goings. If the she were to let the law to handle it, she’d have to expose the ugly truth about Han Shin Group as well. Justice would not be served without revenge, she maintains. She moves on to talk about the power she needs to assert in order to make sure the subordinate alligators knows clearly what will happen were they to attempt to challenge the queen alligator. She argues not only will people go after her, but because he’s her heir, he too will be subjected to the attacks and he needs to let her handle it to ensure he is protected as well. Han Yeo Jin tries to end the discussion, serving him a side-dish she enjoyed as a child. Kim Tae Hyun doesn’t back down, "No," he states firmly, as if not allowing her go on like the adults in her childhood let her go on. He tells her that she has the power to change things now. She can forgive them; doing so wouldn’t have people take advantage of her any more than not doing so. Revenge can create another revenge he adds. 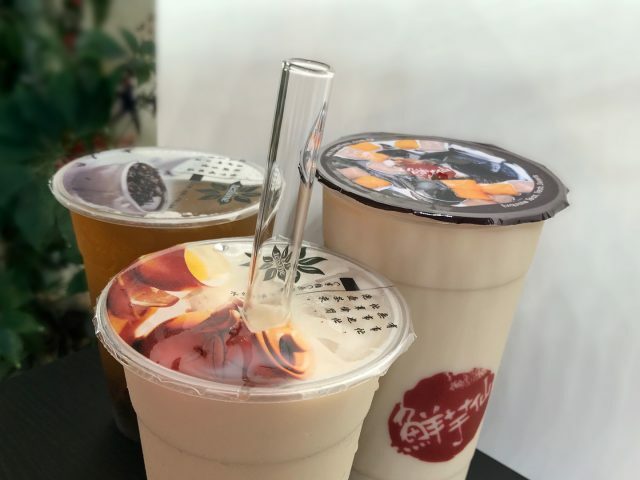 Han Yeo Jin continues to fixate on the idea of revenge, telling him that he doesn’t understand the feeling of being imprisoned, not being able to lift a finger or an eyelid. They all must be punished, she maintains. Just as Han Yeo Jin finishes speaking, a text comes through Kim Tae Hyun‘s phone advising that people are taking Chief Surgeon Lee away as they argue over the situation. Kim Tae Hyun tries another round of getting her to stop. It is the last time he does so. He asks Han Yeo Jin to think about who it was who imprisoned her there. Her father and Han Do Joon, he answers. Her punishment is misdirected as Chief Surgeon Lee is just the warder they hired to carry out their orders, just like she bought him to carry out her plans. Kim Tae Hyun agrees that Chief Surgeon Lee did commit a crime worth of death and he is her enemy, but she cannot kill him if she took into consideration what her father and brother did to him. Kim Tae Hyun appears to be reasoning against killing Chief Surgeon Lee, but it feels like at the same time he’s reasoning at the same time why he shouldn’t take action against Han Yeo Jin, Han Shin Medical Center and the whole of Han Shin Group. If she can’t forgive Chief Surgeon Lee for simply following orders then he, too, shouldn’t think about forgiving her and everyone who played a part in the injustice of leaving his mother to die on the operating table just because they wanted to show their face in her Operating Room. It’s not her fault she happened to come into the hospital on that same day his mother came in needing to be operated on, but he has a reason for wanting to see that she, Han Shin Medical Center and the Group are punished for it. 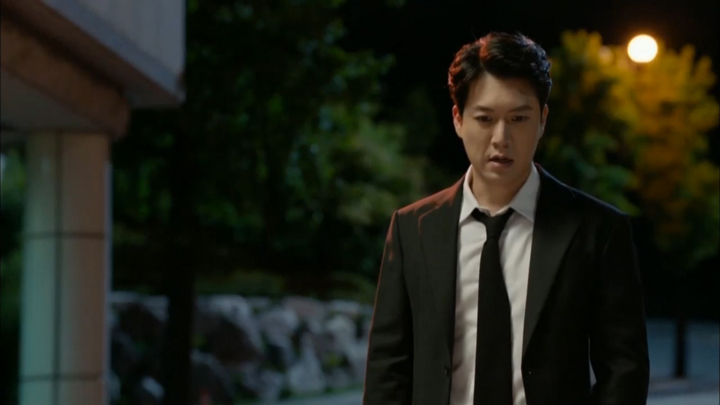 Han Yeo Jin, not seeing the injustice that he too suffered because of her, maintains her stance: "I can… kill him. I will never forgive that person." Kim Tae Hyun makes his request one last time, before he walks out on her, leaving her with what he meant when he talked her needing to seek forgiveness from him. She is heard to throw glass in the room as Kim Tae Hyun walks out into the hallway. She does have Chief Surgeon Lee‘s death stopped. For now. Han Do Joon, however, the revenge on him continues. After Han Do Joon is taken the Prosecutors Office and finding that the secret ledger is fake, he is held there for the time being until Han Yeo Jin decides to release him. Although it appears that the body of Government officials in charge of investigating corruption appears to be clean, the Chief Prosecutor, who’s on his last term in office, seems to have joined Han Yeo Jin in handling her brother. Their relationship hints at some kind of helping hand from Han Yeo Jin when the Chief Prosecutor ends his term and goes in to business. Her punishment for him is to strip him of all his power. He returns to the outside world without Han Shin Group or the partnerships or support that once made him powerful. It doesn’t end there though, she’s looking to imprison him the way she imprisoned him it seems. Released from the Prosecutors Office, he stands alone, wondering where everyone was. He thinks to call Secretary Min, but remembering that he switched sides, he stops. He tries calling President Go, but is unable to connect to his number. He calls President Go‘s secretary to have President Go‘s son inform him that President Go died. He tries calling Secretary Min again then the president of Han Shin Chemical. 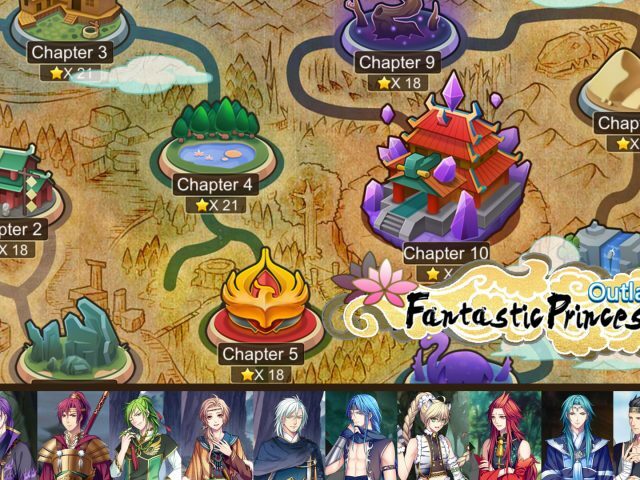 All of them failing to connect. Realisation of the kind of world he’s returning to hits him; but he’s not lost everything. Unknown to him, Lee Chae Young‘s turned up and parked her car across the road to see him get released. He seems to have gained her. She calls him, seeing him begin to walk the road home (wherever that is). Their conversation begins with their usual spiteful tone, but upon Lee Chae Young mentioning that she was called about his release because he was still his family, the tone softens. Hearing the word "family" seems to make Han Do Joon happy for a moment. Lee Chae Young continues, leading the conversation towards him realising that she is sitting across the road watching him. "Did they come to greet you?" she asks. "Of course. I’m on my way to drink with the presidents that came to greet me," Han Do Joon responds. He looks out onto the road, extending his hand out to wave down a taxi. "Are you taking a cab?" she asks. The question has him looking around, surprised by her ability to know his exact intentions. He looks off far to his left then to his right, trying to spot her. As if trying to lead him to look closer and in front, she asks, "Do you even carry a wallet?". Han Do Joon spots her. Their gazes meet. He smiles to himself, throwing her a half-hearted verbal jab like they usually do, asking if she was happy now (like he’s asking if she was seeing him like this). She replies in a similar manner as she holds his gaze with teary eyes, "I’m very happy." Han Do Joon moves to apologise to her (probably for the way things turned out and causing her to reduce to a nobody). She asks him if he even knows how to be sorry. He nods before voicing a yes. The conversation leads Lee Chae Young to invite him out to eat to get something to drink. He likes the idea. Lee Chae Young tells him to wait where is he. She’ll go to his side, she tells him. The meaning behind her words is more than simply walking across the road to meet him for drinks. She’ll telling him that from now on she will go to him. She accepts him. He won’t be the only one going to her all the time. He gets her meaning. He thanks her. 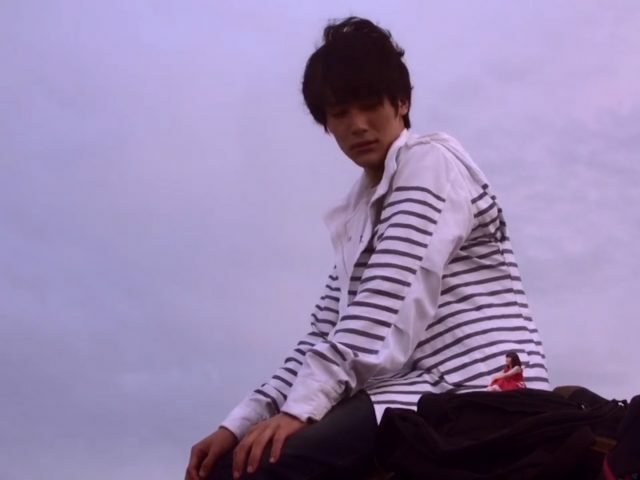 Then, like in typical drama, just as Han Do Joon finally grabs hold of Lee Chae Young‘s heart, he is ran down by a car. He is not seriously injured by the hit. Lee Chae Young who’s gotten out of his car about to run to him is assured by him that he’s already and for her to stay on her side before telling the driver that he’s not really that hurt when the driver enquires his condition. The response is not acceptable for the driver as he wants him really hurt. He brings out a batton and clubs him across the head. He is left on the side of the road, bleeding from the back of the head. Just as Lee Chae Young reaches across to be at his side, an ambulance conveniently arrives. It’s Han Shin Medical Center‘s ambulance. 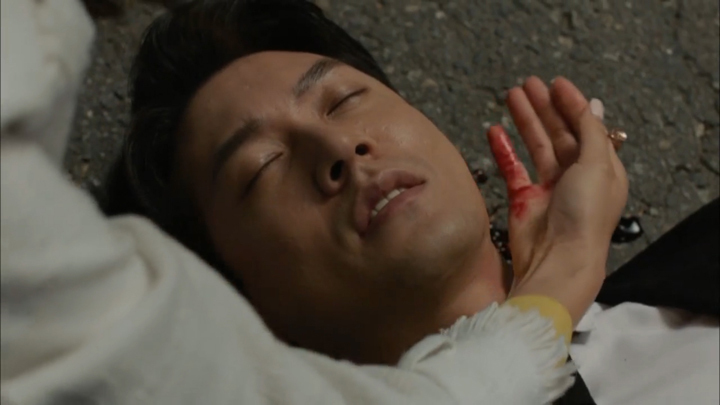 Han Yeo Jin‘s executed her revenge on Han Do Joon. The ambulance leaves with Lee Chae Young watching on. Seeing Han Do Joon reduced in such a way by Han Yeo Jin doesn’t make us cheer as we maybe should. When he was standing outside after being released, no one on his side, and then thinking about how everyone abandoned him and disregarded him because he was an illegitimate son, it was actually quite hard to watch. 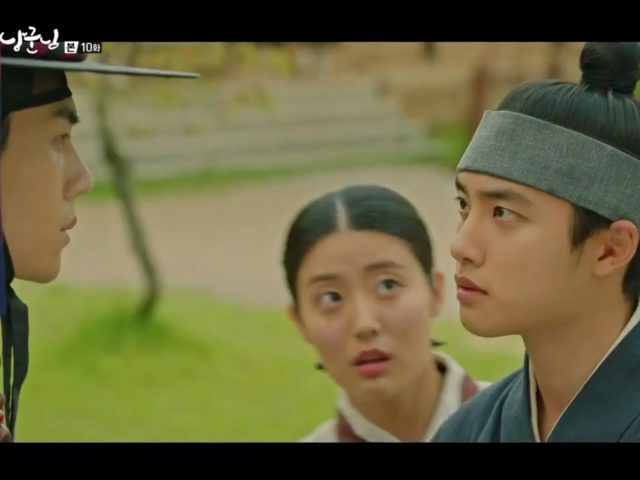 This scene between him and Lee Chae Young, it really does look like maybe he did all he did not for power, but for recognition and acknowledgement so he could satisfy the lack of recognition and acknowledgement he received when he was a child. He seems to want to belong to a real family where he’s not ignored or placed lower than another for his status. We think he needs to be punished for his crimes by the law somehow, not by Han Yeo Jin. Han Yeo Jin‘s just scary! The stewardess was not wrong in saying that Han Yeo Jin‘s sense of reward and punishment is very clear. Bad people will be punished and good will not. No consideration is given for the circumstances which lead them to that point. Chief Surgeon Lee, as Kim Tae Hyun points out, definitely deserves some leniency and a chance to correct himself. Han Do Joon, there’s no disagreement that he definitely needs to be punished for all that he’s done, but we can’t help to feel for him, too. His upbringing doesn’t sound like it had been a fair one. With the way his father appeared to place Han Yeo Jin up on a pedestal, seemingly being more protective of Han Yeo Jin than Han Do Joon as well as denying him priviledges (like studying abroad) because he was an illegitimate son and need not think about trying to live a life like the other wealthy children, it probably played a huge part in his desire to take control of Han Shin Group. Han Yeo Jin‘s comes off quite spoilt we think. It does feel like she’s not had people stop her when she went overboard with her actions. 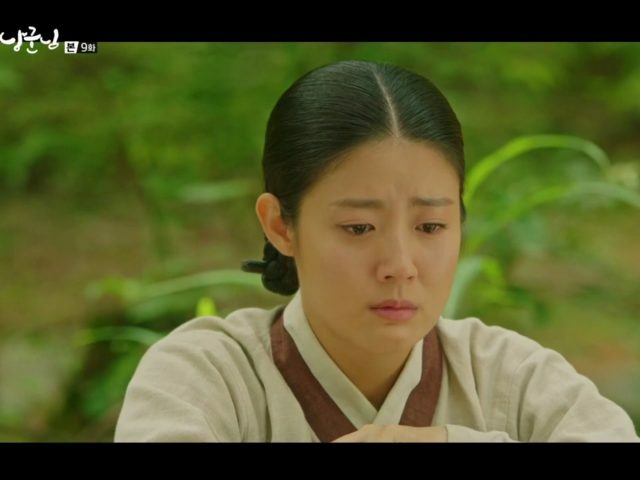 It’s good that Han Yeo Jin turned out to be a strong character who can face and fight off the strongest and most cunning of opponents; but this sense of reward and punishment of hers is just too much! We can sort of, kind of understand her reasoning about needing to deal with President Go herself in order for justice to be served, but it doesn’t justify what she’s doing. President Go‘s hit-man and how she had him buried alive, he’s a target of hers we really don’t understand (rather, it’s an action of hers we don’t condone). With him, through the law, he should get what he deserves. There’s probably enough incriminating evidence for him to be sent to prison without the need for her serve him what he deserves. Detective Lee was attacked by him after all and there was even a confession obtained. She didn’t have to go so far. The only reason we can think of for her to go after him is that the hit-man is linked to all the "dirty truths" of Han Shin Group and he must be silenced. Still, there has to be other ways to silence him. Maybe a deal? The way Han Yeo Jin‘s carrying out her revenge, it looks like the way she punishes people is to dish out what they dished her. 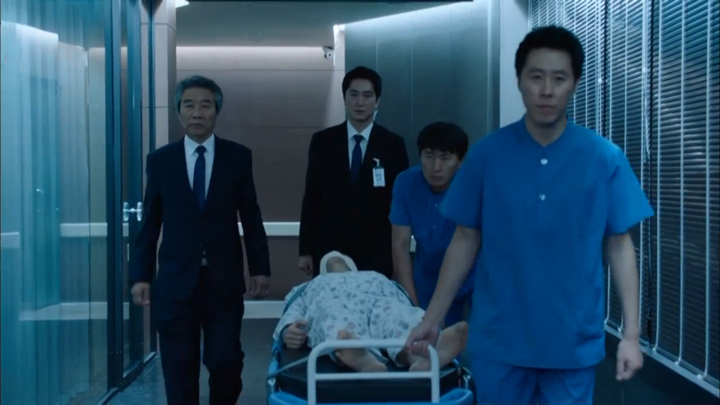 Just like how Chief Surgeon Lee was dealt with the way she had been dealt with, President Go was dealt with the same idea: he was killed by someone else without needing to do it themselves to serve their own goals; and Han Do Joon, after being hit by a car and clubbed in the head, he’s looking to be heading straight to Han Shin Medical Center after been hit around the head to be locked up in a room, just like he locked her up. Han Yeo Jin is very scary. She’s definitely not someone to mess around with! We’re curious how the writer will resolved this and keep Han Yeo Jin‘s hands clean. It would feel odd for a lead character to get away with murder otherwise. With Detective Lee on the case of the escaped hit-man, it looks hard for Han Yeo Jin to escape culpability, too. Can’t wait to see the next couple of episodes! The way these two episodes ended off with Han Do Joon down, we’re really interested to see what happens to him. It’ll be interesting to see if Lee Chae Young will start coming into the story and start doing taking action against Han Yeo Jin. So far, she tried to hold a press conference to reveal the dirty truths of Han Shin Group, but no one turned up. We’re wondering if she will do more now that she seems to have taken Han Do Joon from her. 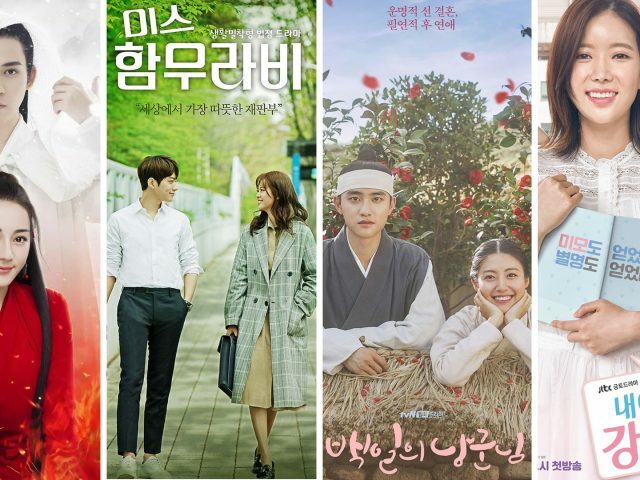 Only four more episodes left to go and still Yong Pal is going strong. It was a good move to extend the series for another two. There’s still so much in the story to work with. It should be a good last four episodes!